Conachar is a 9m Rigid Inflatable built by Delta. Available for hire throughout the UK and surrounding waters. 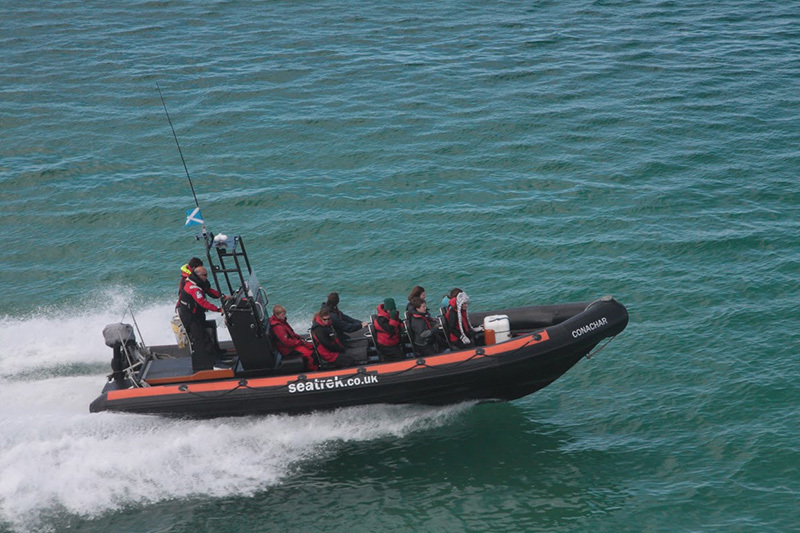 This boat is ideal for survey work, diving, filming platforms, safety standby and fast passenger transfer. Conachar is a 9m Rigid Inflatable Boat built by DELTA. Conachar with its deep v hull makes for a comfortable ride in most sea states. The front seats are all removable to give large amounts of deck space for carrying up to 1000kg in cargo. The coxswains driving position is raised at the stern to give very good visibility, with a wrap around screen to give added protection.